How Do I Choose A Mattress For Pregnancy? Congratulations! You’re pregnant. You’ll never sleep again, or so everyone keeps reminding you. It’s true you might lose some sleep because of a new baby, but it doesn’t have to be because of your awful mattress. There are a few things to look for in the perfect mattress for pregnant women. These features will support your health and wellbeing even after the baby is born, so don’t worry you’re spending money for nothing. We’ve put together a list of our favorite mattresses for pregnant women. Plus, we’ve answered a few of your questions about how to choose. Let’s take a look. Pregnancy isn’t much different than some other common conditions caused by life. Your body is changing, and those changes need proper support while relieving pressure. Old styles of the mattress only used a single layer, usually coils, and those coils were great at supporting you if you slept in a straight line. Since you don’t actually sleep in a straight line, you need other layers of materials to contour to your natural curves. Modern mattresses use a combination of materials that allow your body to sink into the bed at the widest points, but fill in gaps around curves such as the lower lumbar and torso regions. Both innerspring and hybrid mattresses should have contouring and supporting layers. Otherwise, you’re losing out. Consider a few other things as well. Soft mattresses may seem comfortable, but since pregnancy is forcing your joints to spread a little in preparation for birth and your growing middle is putting pressure on your spine, a soft mattress may overextend these spots and cause you a lot of pain. Instead, you need a medium firm mattress. This range will keep your spine straight and prevent too much overextension in sensitive areas. It’s essential your spine stay straight, so you don’t develop pregnancy-related sciatica or hip pain in addition to losing core strength. The firmness level can be accompanied by comfort materials on top of the mattress. Memory foams and latex are great for contouring to your changing body, so you don’t end up with an arm that falls asleep before you do. And as you transition from your standard sleeping position to a pregnancy-friendly one, the comfort materials will adapt. It’s hard enough to fall asleep with a pregnant body, but if your partner is restless, it might be impossible with your old mattress. If your partner jiggles you awake every time they change positions, you might want a bed with better motion isolation. Even innerspring mattresses have materials that reduce motion transfer. Individually pocketed coils sandwiched between layers of foam help reduce the motion and keep it local only to the area. You might wake up for a lot of reasons, but your mattress won’t be one of them. Motion isolation also prevents that dreaded dip in the mattress underneath the heavier partner. If you and your partner roll towards each other in the middle of the might, motion isolation helps keep the bed supported and less likely to create a considerable dip even if one partner is significantly heavier. Unless you’re already a huge fan of memory foam, now might not be the ideal time to switch from innerspring to memory foam. As your body gets heavier and more cumbersome, it can be harder to get in and out of bed without the responsive bounce of innerspring and hybrid mattresses. Coils use the force of your body to propel you out. Memory foam’s excellent motion isolation also makes it hard to change positions or to get in and out of bed without some effort. If you’re already used to this feeling, then great. If you aren’t, keep in mind that it might take a lot of time to get used to the change. Latex and quilted foams are good alternatives to all innerspring mattresses. Latex is more responsive than traditional memory foam, and quilted memory foam has a pillow like spring that might help. Other options would be hybrid mattresses that use both coils and memory foam style materials. Pregnancy makes many women hot, and not in the way you’re thinking. Hormones elevate body temperature, so even if you’ve never slept hot before, you might now. Materials that have open cell designs help air flow near the body and prevent heat from building up in the mattress. Gel infusions go even further by actively transporting heat away from the body. Phase change technology in materials also helps actively transport heat away from the body and the core of the mattress. Materials such as organic cotton or Tencel help wick moisture away as well, so you don’t feel sweaty either. One thing you definitely don’t want is toxic materials close to you. Most of the materials in mattresses are plenty safe, but since things are happening with your respiratory system and hormones already, you might find some relief with an all natural mattress. Many pregnant women experience respiratory difficult because of increased blood supply in soft tissue and growing weight. Mattresses that don’t have an odor or need to off-gas might be a better choice for those who are particularly sensitive. Latex materials are some of the best for natural mattresses, but organic cotton and newer styles of memory foam can also be dust mite and bacteria resistant with little off-gassing. We recommend consulting your healthcare professional if you have concerns about the materials of the mattress and your pregnancy. Let’s take a look at our favorite mattresses to get you through your pregnancy. DreamCloud’s mattress is an eight-layer combination of foam and coils designed to give you an ultra soft feeling without losing any support. Technically, it’s a medium firm mattress, but it has a Euro-style top that feels cushy and pillow like. The first two layers are gel and quilted memory foam. One is very cooling while the other increases responsiveness. The next layers are transitional layers, one latex. They help ease your body to the support layer and provide pushback against motion. The micro-coils are individually wrapped and sandwiched in foam. This reduces motion while providing a classic innerspring feel. You can get in and out of bed without much effort, and there’s excellent edge support. The final foam layer reinforces the edges and provides structural integrity. Even after the baby is born, this style can support your back and relieve pressure from typical pressure points. It has excellent motion isolation, and the cover materials are soft cashmere with a natural flame retardant. If you aren’t able to set up your mattress, DreamCloud has the option of white glove delivery. They’ll bring the bed at a specific time and help you set everything up. They’ll also remove the packaging and old mattress. If you don’t need it, the mattress can arrive on your porch for you to set up yourself. DreamCloud gives you a full 365 nights to try out the mattress. This gives you a full year to sleep on it while you’re pregnant and for a little while after. If you decide it isn’t for you, DreamCloud will refund your money and pick up the mattress. It also has a lifetime warranty. In the first ten years, DreamCloud will replace defective mattresses for free. After ten years, they’ll decide if it’s more appropriate to repair and recover it or to replace it entirely. Either way, you’re covered. Make sure the mattress is supported adequately so that you don’t accidentally void the warranty. Solay is another hybrid option much like the DreamCloud. It uses six layers to maximize support and contouring. The cover materials are a cooling Tencel that wicks away heat and moisture. Directly underneath is a layer of cooling, gel infused foam for further temperature regulation. The second contouring layer helps reduce motion transfer, so you get a still, smooth surface for your sleep. The support layer of coils are full sized and individually pocketed. THey’re sandwiched between layers of foam for support and structural integrity, and to further reduce motion transfer. The materials are natural and have little off-gassing. Solay has good edge support and response, so you’ll be able to maneuver in and out of bed easily even in later months of pregnancy. It doesn’t give you as long as the DreamCloud to test it out, but you still get a full 101 nights to figure out if you like it. If you don’t, they’ll refund your money. You’re covered by a 15-year warranty for mattress defects. Make sure your mattresses is appropriately supported. Solay doesn’t offer white glove delivery. It’s convenient if you can’t wait around for a delivery person, but make sure you have someone to help you set things up for you. Here are a few of our picks based on specific criteria. Nectar is an all foam mattress, but if you need a supportive budget option, this is a good one. It’s better if you’re already used to the feel of memory foam, but it might be worth it to get used to the way it feels, especially if you’re early in your pregnancy. Nectar uses a Tencel cooling cover plus two layers of gel-infused foam. One is quilted for more responsiveness. The next layer is an adaptive memory foam that eases your body to the support layer and changes to support you at different levels. It recovers quickly, so there’s less dead foam feel. The bottom layer is a dense support foam that keeps your spine aligned and reinforces the support layer. It gives the mattress structural integrity and edge support. THere’s very little motion transfer, and the bed stays very cool. You can get all the sizes for under $1000, making it highly affordable. You won’t be able to get the innerspring feel of a traditional mattress, so go with this one only if you’re ok with foam. It does give you 365 days to try the mattress out, so if you time it right, you can have it through your pregnancy and a little bit after to see how it does. If you don’t like it, you can return it for a full refund. You also have a lifetime limited warranty for mattress defects. The first ten years, they’ll replace your mattress, but after ten years, they’ll either repair or replace it. Nectar doesn’t have the option of white glove delivery so you’ll need to find someone to help you set up if you aren’t able to. The upside is that you don’t have to arrange your whole day waiting for the delivery person to show up. Winkbeds Plus is specifically designed to perform well even if the sleeper is above average weight. If you’re heavier than average, other beds may not support you as well because the contouring layers aren’t as reliable and you’ll interact much sooner with the support layer. It uses a Tencel cover material to keep you cooler and more comfortable. The top layer is very soft, contouring foam that fills in curves and gives way under your broader body parts. You can get into a more comfortable position and stay there without tossing and turning. Two layers of tempered support springs, one micro and one standard, push back against your body to keep your spine aligned and prevent overextending your lumbar region. Reinforced edges give you support all the way to the side of the bed and make it easier to get in and out. The difference is this bed is rated explicitly for sleepers over 300 pounds. It’s between a six and a seven on the ten point firmness scale but might feel much more firm if you or your partner are under that weight average. You have 101 nights to sleep in your new bed before deciding if it’s right for you. If it isn’t, they’ll pick up the mattress and refund your money. You’re also covered by a ten-year warranty against defects. Make sure the bed is fully supported so that you don’t accidentally void the warranty. They don’t have the option of white glove delivery, so make sure that you have someone who can help you set things up. They do have a pretty innovative cool control base that blows air directly into the mattress to help regulate temperature even further, so you might want to check that out if you’re an unusually hot sleeper. If your pregnancy is considered high risk, you might be put on bed rest or need to track things like vitals. Eight’s mattresses are designed to work with a proprietary cover that helps track things about your vitals to help you make better decisions about your sleep. The Mars Plus is a hybrid mattress that uses four different layers of contouring and support. The first layer is a reactive foam that helps regulate temperature and reacts like latex (with a lot of bounce and fast recovery). The next is another contouring layer that transitions your body to the support layers while providing relief for pressure in hips and back. The support layer is dense coils that are individually pocketed and surrounded by polyfoam for better motion isolation. The final layer is another support foam that gives the mattress structural integrity and edge support. The big piece of Eight mattresses is the high tech cover. There are sensors embedded in the bed that give you vitals each night that store in a smartphone app. It tracks your sleep data to provide you with a better idea of what’s going on, learns your body’s temperature patterns and warms you if need be (or your partner if you’re currently sleeping with the AC in winter like a true pregnant lady), and can wake you up with a smart alarm. It also connects to all your smart home technology such as Alexa, Phillips Smart Home, Nest, and IFTTT. You have a 100-night sleep trial to figure out if you like it and you’re covered by a ten-year warranty for the mattress itself plus a one year warranty for the technology. We’re huge fans of the DreamCloud and think it can help solve a lot of sleep issues even after your pregnancy. Trying it out through the end of your pregnancy is definitely a plus for figuring out if it’s the best option for you, but we think it will be. Pregnancy isn’t a standalone condition. Your mattress has to support you even after the baby is born. 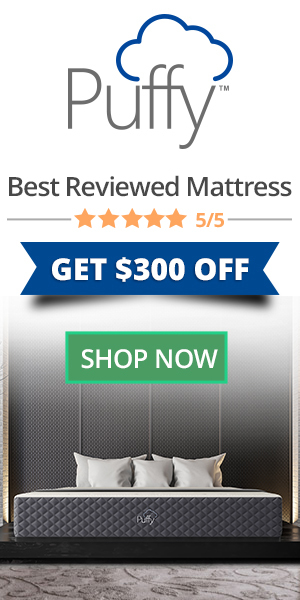 It’s a good move to go ahead and upgrade your mattress now so that what little sleep you will get in the coming months will be quality and not impeded by an old, outdated mattress.